We have received reports that a former member of Social Ecology London, now resident in Sweden, has been ‘hit by a badger’. At present we are not sure how, why or where, but both are believed to be unharmed. More details when we know more. 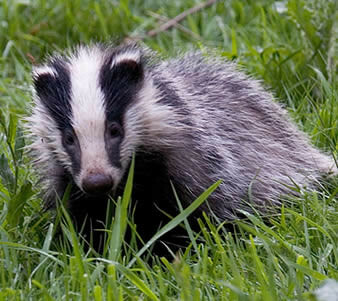 Badgers – cute bundles of fun, or sworn enemies of radical ecology? Social Ecology London’s workshop went well, being well attended and ending up overrunning into lunch. Debate winning out over hunger is usually a good sign. Questions need to be asked about where people interested in genuine answers to climate change go from here though. How can the movement become more relevant to people’s daily lives? How will it become a genuine movement at all? Was the camp a grounding point for the cross fertilisation of ideas or a melting pot of well meaning liberalness? What are our demands? These questions are currently being asked in many forms and in many forums. Debrief/where do we go from here meetings listed on the Camp for Climate Action’s website.